Charlie McAvoy had one heck of the weekend. 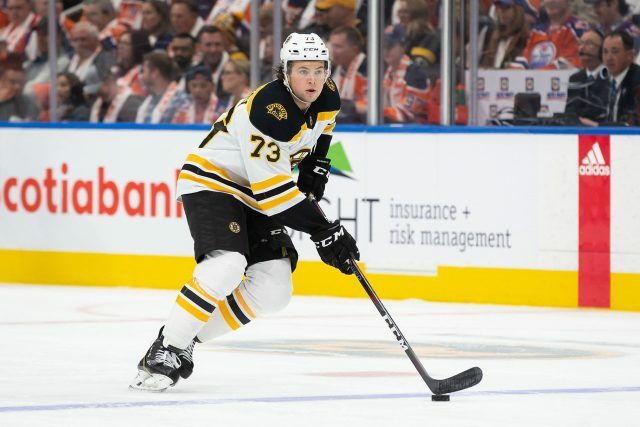 Not only did the Bruins win both weekend matinees against the Los Angeles Kings and the Colorado Avalanche, but the young defenceman has seemingly returned to form. It hasn’t been a smooth season so far for McAvoy; he’s missed 27 games for the Boston Bruins due to injuries thus far. Over the last week or so, McAvoy has received a lot of negative feedback from the Bruins fanbase. But has the vitriol been justified? McAvoy missed almost two months with a concussion and around Christmas missed more than three weeks with a foot infection. Now let’s look at his numbers. Throughout 29 games with the Bruins this season, McAvoy has even strength goal differential at plus seven, has two goals and 13 assists for 15 points and just two of those points came on the power play. Fans would be asinine to think that these numbers event warrant thinking about trading the BU product. It’s worth adding that McAvoy just celebrated his 21st birthday shortly before Christmas and is playing in his second season in the NHL. Yet he has been able to constantly deliver high-quality defensive work for the Bruins and produce on even strength almost regularly. That’s not trade bait to dangle in front of other teams; that’s a cornerstone defensive piece. Of course, McAvoy has been undergoing through tough stretches over the 2018-19 campaign; look at the game in Carolina right before Christmas. But last weekend, McAvoy scored one goal and added two assists. But more importantly, he was skating with tremendous confidence. If he can skate and play that way for years to come, he is on his way on becoming truly an elite defenceman. But if he doesn’t? Well, he’s still young; there is room for growth. “I mean, that’s the goal of mine. I don’t want to get too far ahead of myself, and I try to just live in the moment and day by day, but down the road, to mean to this team what Chara’s meant to this team is a goal of mine. That’s the goal of mine to be as consistent as he is. When we were facing their top line, he just loves to shut the top guys down. I kind of feed off that. I take as much pride in it as him and we were able to feed off each other tonight,” McAvoy said after Sunday’s win over Colorado. McAvoy wants to be the Bruins’ next Zdeno Chara. And who can teach him better to be that way rather than Big Zee himself? Bruce Cassidy called out Chara to be an example to younger defencemen such as McAvoy. It seems that all those involved responded on the head coach’s call to action. McAvoy has all that it takes in order to be the next Bruins franchise defenceman. The most important thing for him was to overcome heart-related issues and concussions. But once he is done dealing with those problems, he can focus on playing hockey as he did over the past weekend. McAvoy was tremendous and even if tougher days come up, he will make sure to learn from those mistakes and correct them. No, trading Charlie McAvoy shouldn’t be considered even as a joke. Not sure who started this idea, but McAvoy is poised to be the Bruins main blueliner for years to come. Even if few fans disagree, still a huge majority of Bruins fans love McAvoy and he is proud to be a Boston Bruin too. They should see him in black and gold for years to come.